Multi Level marketing – the king of all things shiny! 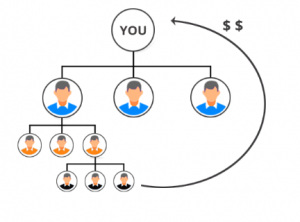 This new age marketing trend is supplementing the dream of financial independence of millions of distributors worldwide, thanks to the different types of MLM Commission Structures. There are a number of bonuses in MLM Compensation Plan. The marketers gets them at different points in the network marketing ladder upon achieving certain targets. 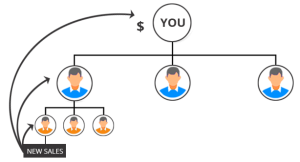 Generally, Binary MLM Plan, Unilevel MLM and Matrix MLM Plan are widely used in the network marketing industry. 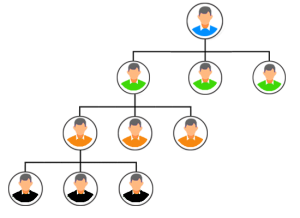 MLM business holders are using MLM Software included with different MLM commission structure based on their MLM business requirements. 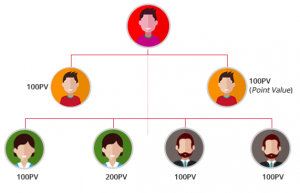 In this blog, we shall discuss the types of MLM Commission Structures in detail. As the name suggests, sponsor bonus refers to the bonus that the distributor will get for recruiting new members in the downline. She/he will get a referral bonus for each direct referral. The sponsor bonus is usually calculated based on the percentage of the predefined amount set by the company. This bonus is applicable to all MLM Compensation Plans. A network marketer gets Pairing Bonus under Binary MLM Compensation Plan. Binary tree network is in the form of a tree with two legs. 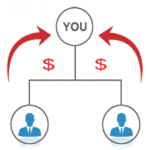 The pairing bonus is paid to the distributor when the tree is complete,ie,bonus is gained based on the downline members’ sales. The maximum pairing bonus is calculated on the basis of the plan the distributor chooses and the rules set by the company. Certain Binary MLM Plan may have capping limit per day based on the company’s rules. Members in Matrix MLM Plan earns Level Commission by recruiting new distributors. He/she gets a level commission is received when the front line members hire new members and get a commission from the sale they make. This bonus extends up to the nth level. Distributors gets a matching bonus in a Matrix MLM Plan based on the earnings of downline members whom they have sponsored. For example, a company offers a matching bonus of 15% m and X sponsors Y. When distributor Y achieves sales or any other commission, his sponsor X will earn a 15% bonus. A member in a Matrix MLM Plan gets a position bonus when the downline team members recruit new members and they join the matrix. For instance, if the matrix is 3*3, the said member will be eligible to receive position bonus when a new member joins his 3rd down level. The percentage of position bonus can be adjusted as per the company’s policies. Forced Matrix Bonus is an additional compensation for the distributors. The members would be eligible for this bonus when they fill their matrix with downline members as per the preset size of the matrix. Let us take the example of a Matrix MLM Plan which includes a 3*3 matrix. 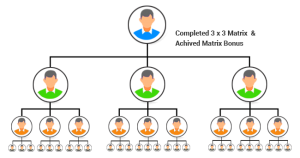 The member will have to recruit 3 members on the first downline, 9 members in the second downline and 27 in the third downline.Once this structure is complete, then the member will earn Forced Matrix Bonus. This is sort of a starter benefit that the distributor in a Unilevel MLM Plan and he is eligible for this when he signs up a new member. To qualify for this bonus, the distributor must achieve a specific target set the company upon which he earns a pre intimated amount per new recruit. This bonus is responsible for the fast growth of most Unilevel MLM networks. The fast start bonus or commission is quite lucrative since it gives a higher sales commission on the first sale of the new recruit as well. 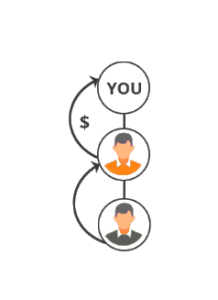 In this blog, we have discussed the most commonly offered bonuses in major MLM Compensation Plans. In ground level scenario, the companies alter these bonuses as per their businesses. So, there might be chances that there are slight variations in the bonuses in MLM Compensation Plans discusses here when compared to the market. Nonetheless, you can get a brief idea on the topic from here. Well, anything is better that a blank canvas, isn’t it? Try out our free MLM Software demo and choose the best.